To achieve gains in quality, hospitals need to strategically pace the rollout of new features and functionality. 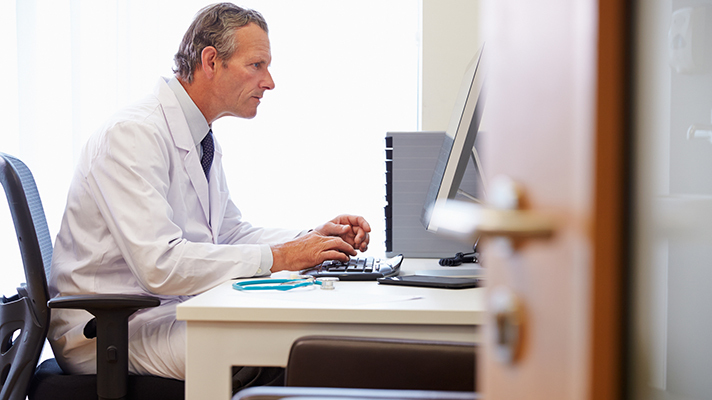 Contrary to current levels of frustration among clinicians and other users, EHRs hold the power to positively impact patient care. But that takes a more thoughtful and phased approach than simply implementing a new electronic health record platform or upgrading to the latest version. Instead, hospitals should proceed at a realistic and reasonable pace when rolling out baseline functions, turning on features that have matured since the initial installation, and gradually optimizing the overall functionality and user experience if they hope to achieve gains in quality and performance. Consider the evolution of EHRs: Between 2008 (when the tech was relatively new) and 2013 the electronic records software went from being linked to an 11 percent higher 30-day mortality rate to being associated with a .09 percent lower rate against the same metric. Those are the major findings of a study published in Health Affairs. But what fueled the about-face and how did hospitals and technology vendors turn the negative into a positive? Patience and pacing. Researchers looked at national Medicare hospital claims for 3,249 non-federal, acute care hospitals from 2008 to 2013, since national data only started in 2008 and not that many hospitals had a lot of EHR functionality before then. They also used data for 2014 from the American Hospital Association Annual Survey Database, including its Information Technology Supplement. They then created a data set that contained annual measures of hospital EHR adoption, characteristics, and mortality performance. But they couldn’t just ask whether the EHR worked or not. More specific information was needed. So they analyzed how many baseline functions each hospital initially adopted, looked at how its EHR use and optimization progressed over time (also known as maturation), and examined the pace at which new functions were adopted. “It’s rare for hospitals to go fully paper to fully digital. Most often, new functions are added over time. So the pace at which that happened is the third component. On the one hand, there could be an argument for moving quickly as you can to a fully digital environment because there are some risks to being partly digital and parlty paper. But on the other hand you hear a lot about change fatigue and how much can an organization take on. That’s why that third piece was interesting too,” Adler Milstein said. Average adopters, meaning those that had a baseline adoption close to the average rate of 5 functions, fared better than those hospitals that didn’t adopt any, with .67 fewer deaths per 100 admissions. The takeaway here is that hospitals and the people who work in and run them should expect performance-related gains from EHR adoption to take time. Those gains can be augmented when coupled with robust EHR support and EHR-enabled quality improvement efforts, and this should inform how many functions are adopted at first, how many are added each year, and the expectations that are reasonable to have for gauging results along the way. “It is possible that starting with many functions or adding many new functions could have the unintended consequence of harming performance, as a result of change fatigue or diversion of attention away from more critical priorities,” the study said.